Whether you are about to build your dream house, or buying a resale and eventually looking to flip, one thing that most homeowners face is the issue of how to reinvest in a property. Adding value that hits the bottom line is key but you also need to keep in mind while you are living in the home, will the changes better your own lifestyle? First off has to be the bathroom. For the most part showers are taking center stage in modern design but the reality is that upscale luxury is still often defined by a bathtub. 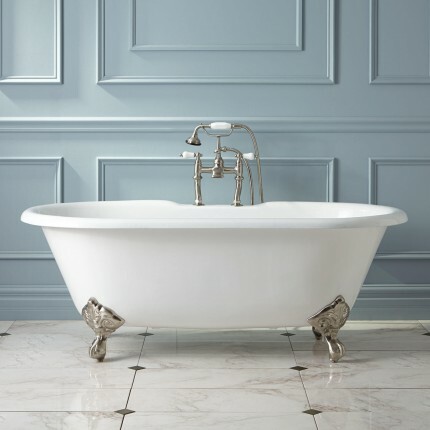 A second issue is that for families with small children, the tub is a mainstay and without one, a sale may walk away. Certainly other additions such as dual sinks make absolute sense. Next let’s move to the kitchen, where eating and cooking never go out of style. In fact with today’s rage of reality chef shows, well designer, spacious and modern kitchen are simply a must. Island designs are increasingly popular and high quality appliances. Storage is often ignored but getting a qualified specialty designer can make all the difference in the world in one of most valuable spaces of any house. We shift over now to bedrooms and the fact that much of an underlying value of a house is a multiple of bedrooms. If you are building a new home, take a forward look and instead of dedicated gyms, offices or other spaces, imagine these as flexible spaces that could later be easily converted to bedrooms. Bathroom access is key and as is the shape, and size. For existing houses, look at practical add-on’s to get one or more extra bedrooms. Hopping outside, swimming pools remain a prime mover in value. Forget if you will use it all that much or not, but the simple fact there is a pool can elevate any home. While the practical side of you may come up when designing a new place, take a longer term look at comparable pricing of other homes of a similar size and when pools exist, prices go up. Last and not least is an aesthetic that flies well under most homeowners radar. This is the use of colors, from exterior paint, to kitchen tiles, floor and walls. When in doubt get a designer and take some time to understand what colors can maintain timeless quality and do not go out of style. Often times the mere painting of a house can lift the value and once you get inside the house attention to detail is critical. By no means is this list exhaustive but from a top line approach the value creation by these 5 simple things, can ramp up the sales price of a house once you decide to cash out.